Our Investment Management team keeps a close eye on the local market, to strategically source and transact on opportunities within the Benelux region with the goal of maximising returns for our investors. We proactively approach owners, developers and municipalities in the Benelux market, as well as maintaining excellent relationships with national and local brokers, to source deals where we can “buy smart, add value, sell smart”. In the Benelux region we are currently actively seeking high quality real estate investments in the office, industrial and out-of-town retail sectors. To understand more about our investment criteria, please contact our Benelux team. The Equinox Portfolio was Cromwell’s first joint venture with US private equity partner, Angelo, Gordon & Co in 2014. 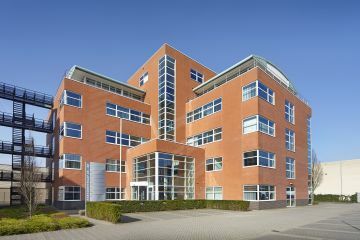 The mandate comprised the acquisition of a portfolio of nine office buildings, totalling 50,198 sq m, in the Randstad and Groningen conurbations. With a 20% vacancy and three year weighted average lease expiry across the portfolio at the time of acquisition, a strategy was put in place to comprehensively reposition the assets which were under-managed and under-capitalised. This required a bottom-up approach, to better understand the tenants’ needs, in order to satisfy and retain the existing tenants. 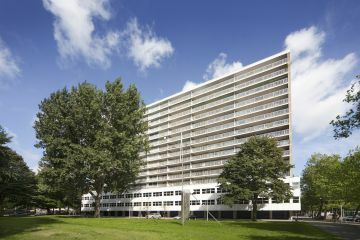 Cromwell was appointed in 2013 to manage the Dutch Offices I & II portfolios, comprising eight office assets and 48,000 sq m of space in the Randstad conurbation, Groningen, 's-Hertogenbosch and Tilburg. This was a consensual restructure mandate awarded by an insolvency administrator. At the time of appointment, the portfolios had a void rate of 24%, with the existing tenants dissatisfied and limited demand from new tenants. The local Benelux team actively engaged with the existing tenants to address their property issues and enable leases to be regeared. A marketing programme to attract new tenants was implemented and refurbishment of vacant space was also undertaken. As a result, the void on the portfolios was significantly reduced and individual asset business plans were successfully executed, enabling a phased sales programme to take place. 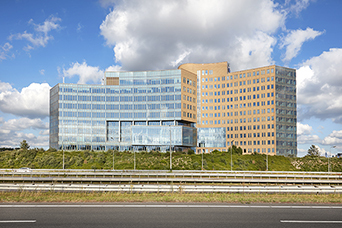 Cromwell was appointed in 2010 to asset manage the European Real Estate Commercial Limited (ECREL) portfolio, comprising 53 assets in Europe, of which eight office buildings were located in the Netherlands. At the time of appointment, the existing tenants of the eight office assets were dissatisfied and the appetite for this type of office space in the market was limited. The local Benelux team implemented an active asset management strategy consisting of several different elements which included resolving the issues of the existing tenants and renegotiating leases where appropriate. Major refurbishment opportunities were identified across the portfolio, so that assets could be repositioned and the market perception changed in the eyes of tenants and agents. This activity resulted in a 16% increase in the occupancy rate, taking the weighted average lease expiry to four years. Subsequently, the Dutch of ECREL were successfully sold in 2015.